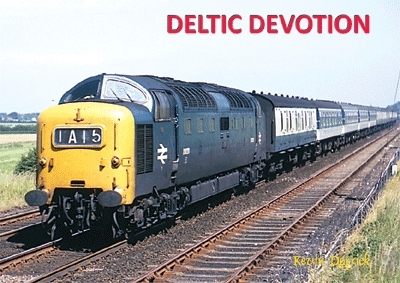 Just to advise we have now sold out of this title, although the Deltic Preservation Society may still have copies, so please help us to support keeping these fine locomotives by contacting them via their website. We still have three copies of large Logo salute if you are quick and just one copy of Looking back at Class 47 Locomotives, also in low numbers are Scottish Railways Two Decades in Transition with three copies, Eighties Spotting Days Back to the Ashes II down to five copies, looking back at Stanier Locomotives to nine copies, London Midland Steam Days Remembered down to just twelve copies. Be quick to secure yours.